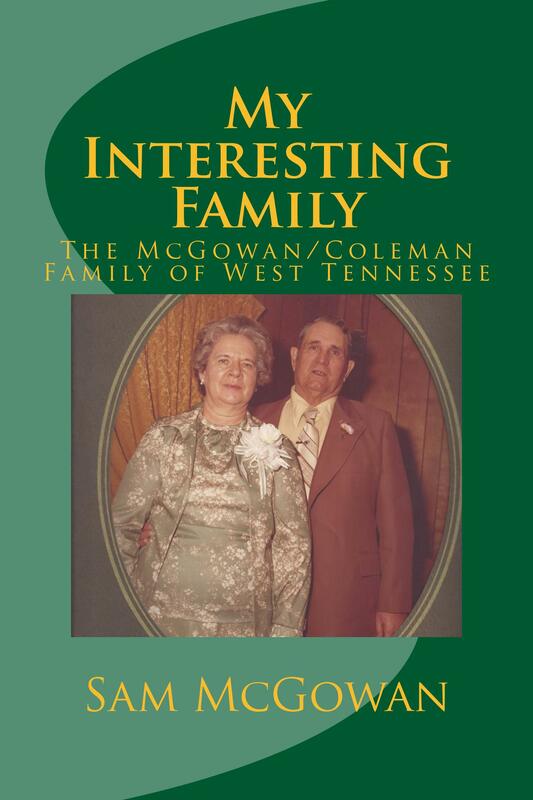 This is an account of the history of my family, the McGowan/Coleman family and the Carter, Biggart(Tobin), Culp, McKinney, Utley, Davidson and Turner families from which we are descended. It's not a genealogy, but rather an account so family members can know where we came from. Included in my family tree are a reknown 18th Century Baptist preacher, a woman who was scalped by Cherokee and lived to tell about it, early Tennesseee settlers, several Civil War soldiers, a night-rider, farmers and preachers.